In 1859, Charles Darwin published The Origin of Species, changing the way many people viewed the world forever. In 1831, Darwin had joined a five year scientific expedition. During his time away was influenced by Lyell's suggestion that fossils found in rocks were evidence of animals that had lived millions of years ago. The breakthrough came when he noted that the Galapagos Islands each supported its own variety of finch, which were closely related but had slight differences that seemed to have adapted in response to their individual environments. On his return to England, Darwin proposed a theory of evolution occurring by the process of natural selection, which he then worked on over the following 20 years. The Origin of Species was the culmination of these efforts and argued that the living things best suited to their environment are more likely to survive, reproduce and pass on their characteristics to future generations. This led to a species gradually changing over time. Whilst his study contained some truth many areas such as the link between animal and human evolution are being shown to be untrue through new discoveries of ancient ancestors. The book was extremely controversial, as it challenged the dominant view of the period that many people literally took that God had created the world in seven days. It also suggested that people were animals and might have evolved from apes this part of his work has been shown to be inaccurate. To Ponder; One must simply consider the fact that through thousands of years of evolution animals have the highest respect for their body yet people do not respect their bodies. The cheetah will go hungry rather than push itself beyond the point it can recover. 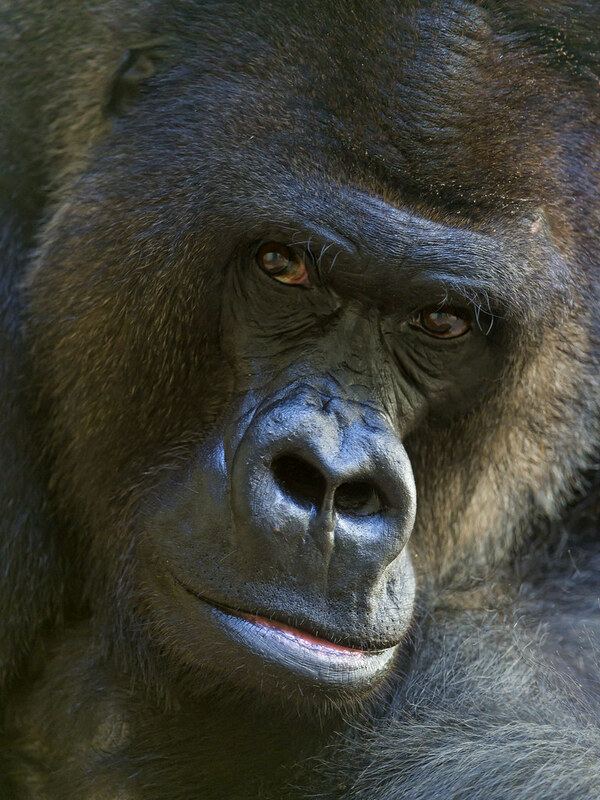 If people had evolved from animals over millions of years the innate respect for their body would still be here today. In 1866, an unknown Augustinian monk was the first person to shed light on the way in which characteristics are passed down the generations. Today, he is widely considered to be the father of genetics. However, he enjoyed no such notoriety during his lifetime, with his discoveries largely passing the scientific community by. In fact, he was so ahead of the game that it took three decades for his paper to be taken seriously. Between 1856 and 1863 Mendel conducted experiments on pea plants, attempting to crossbreed "true" lines in specific combinations. He identified seven characteristics: plant height, pod shape and colour, seed shape and colour, and flower position and colour. He found that when a yellow pea plant and a green pea plant were bred together their offspring was always yellow. However, in the next generation of plants, the green peas returned in a ratio of 3:1. 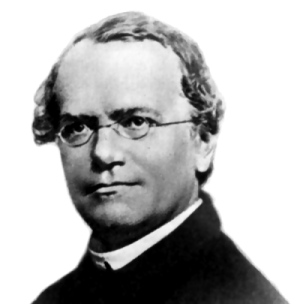 Mendel coined the terms 'recessive' and 'dominant' in relation to traits, in order to explain this phenomenon. So, in the previous example, the green trait was recessive and the yellow trait was dominant. In his 1866 published paper, Mendel described the action of 'invisible' factors in providing for visible traits in predictable ways. We now know that the 'invisible' traits he had identified were genes. 1869 - Friedrich Miescher identifies "nuclein"
In 1869, Swiss physiological chemist Friedrich Miescher first identified what he called "nuclein" in the nuclei of human white blood cells, which we know today as deoxyribonucleic acid (DNA). Miescher's original plan had been to isolate and characterise the protein components of white blood cells. To do this, he had made arrangements for a local surgical clinic to send him pus-saturated bandages, which he planned to wash out before filtering the white blood cells and extracting their various proteins. However, during the process, he came across a substance that had unusual chemical properties unlike the proteins he was searching for, with very high phosphorous content and a resistance to protein digestion. Miescher quickly realised that he had discovered a new substance and sensed the importance of his findings. Despite this, it took more than 50 years for the wider scientific community to appreciate his work. In the history of DNA, the Eugenics movement is a notably dark chapter, which highlights the lack of understanding regarding the new discovery at the time. The term 'eugenics' was first used around 1883 to refer to the "science" of heredity and good breeding. 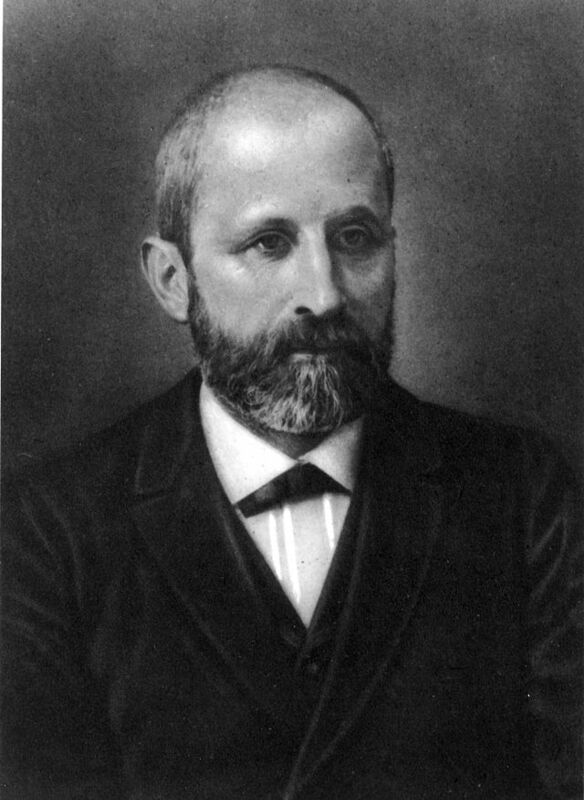 In 1900, Mendel's theories, which had found a regular statistical pattern for features like height and colour, were rediscovered. In the frenzy of research that followed, one line of thought branched off into social theory and developed into eugenics. This was an immensely popular movement in the first quarter of the 20th century and was presented as a mathematical science, which could predict the traits and characteristics of human beings. The darker side of the movement arose when researchers became interested in controlling the breeding of human beings, so that only the people with the best genes could reproduce and improve the species. It was often used as a sort of 'scientific' racism, to convince people that certain 'racial stock' was superior to others in terms of cleanliness, intelligence etc. It shows the dangers that come with practicing science without a true respect for humanity as a whole. Many people could see that the discipline was riddled with inaccuracies, assumptions and inconsistencies, as well as encouraging discrimination and racial hatred. However, in 1924 it gained political backing when the Immigration Act was passed by a majority in the U.S. House and Senate. The Act introduced strict quotas on immigration from countries believed by eugenicists to have 'inferior' stock such as Southern Europe and Asia. When political gain and convenient science combine forces we are left even further from truth and a society that respects those within in. This is not too dissimilar from the tobacco industries of the 80’s and the sugar industries of the current decade. With continued scientific research and the introduction of behaviourism in 1913, the popularity of eugenics finally began to fall. The horrors of institutionalized eugenics in Nazi Germany which came to light after the 2nd World War completely extinguished what was left of the movement. In 1900, 16 years after his death, Gregor Mendel's pea plant research finally made its way into the wider scientific community. The Dutch botanist and geneticist Hugo de Vries, German botanist and geneticist Carl Erich Correns and Austrian botanist Erich Tschermak von Seysenegg all independently rediscovered Mendel's work and reported results of hybridization experiments similar to his findings. In Britain, biologist William Bateson became a leading champion of Mendel's theories and gathered around him an enthusiastic group of followers. Known as ‘Mendelians’, the supporters initially clashed with Darwinians (supporters of Charles Darwin's theories). At the time, evolution was believed to be based on the selection of small, blending variations whereas Mendel's variations clearly did not blend. It took three decades for Mendelian theory to be sufficiently understood and to find its place within evolutionary theory. In 1902, Sir Archibald Edward Garrod became the first person to associate Mendel's theories with a human disease. Garrod had studied medicine at Oxford University before following in his father's footsteps and becoming a physician. Whilst studying the human disorder alkaptonuria, he collected family history information from his patients. Through discussions with Mendelian advocate William Bateson, he concluded that alkaptonuria was a recessive disorder and, in 1902, he published The Incidence of Alkaptonuria: A Study in Chemical Individuality. This was the first published account of recessive inheritance in humans. It was also the first time that a genetic disorder had been attributed to "inborn errors of metabolism", which referred to his belief that certain diseases were the result of errors or missing steps in the body's chemical pathways. These discoveries were some of the first milestones in scientists developing an understanding of the molecular basis of inheritance. By the 1940s, scientists understanding of the principles of inheritance had moved on considerably - genes were known to be the discrete units of heredity, as well as generating the enzymes which controlled metabolic functions. 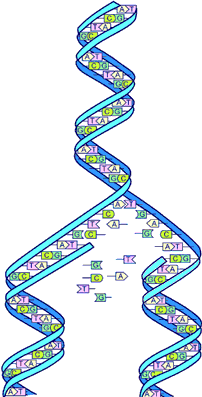 However, it wasn't until 1944 that deoxyribonucleic acid (DNA) was identified as the 'transforming principle'. The man who made the breakthrough was Oswald Avery, an immunochemist at the Hospital of the Rockefeller Institute for Medical Research. Avery had worked for many years with the bacterium responsible for pneumonia, pneumococcus, and had discovered that if a live but harmless form of pneumococcus was mixed with an inert but lethal form, the harmless bacteria would soon become deadly. Determined to find out which substance was responsible for the transformation, he combined forces with Colin MacLeod and Maclyn McCarty and began to purify twenty gallons of bacteria. He soon noted that the substance did not seem to be a protein or carbohydrate but rather a nucleic acid, and with further analysis, it was revealed to be DNA. In 1944, after much deliberation, Avery and his colleagues published a paper in the Journal of Experimental Medicine, in which they outlined the nature of DNA as the 'transforming principle'. Although the paper was not widely read by geneticists at the time, it did inspire further research, paving the way for one of the biggest discoveries of the 20th century. In 1944, scientist Erwin Chargaff had read Oswald Avery's scientific paper, which identified DNA as the substance responsible for heredity. The paper had a huge impact on Chargaff and changed the future course of his career. He later recollected, “Avery gave us the first text of a new language, or rather he showed us where to look for it. I resolved to search for this text. Consequently, I decided to relinquish all that we had been working on or to bring it to a quick conclusion”. Chargaff was determined to begin work on the chemistry of nucleic acids. His first move was to devise a method of analysing the nitrogenous components and sugars of DNA from different species. He subsequently submitted two papers to the Journal of Biological Chemistry (JBC) detailing the complete qualitative analysis of a number of DNA preparations. Despite the significance of the paper’s findings, the JBC was initially reluctant to publish it, illustrating the ignorance about nucleic acids amongst elite scientists at the time. Chargaff continued to improve his research methods and was eventually able to rapidly analyse DNA from a wide range of species. In 1950, he summarised his two major findings regarding the chemistry of nucleic acids: first, that in any double-stranded DNA, the number of guanine units is equal to the number of cytosine units and the number of adenine units is equal to the number of thymine units, and second that the composition of DNA varies between species. These discoveries are now known as 'Chargaff's Rules'. Rosalind Franklin was born in London in 1920 and conducted a large portion of the research which eventually led to the understanding of the structure of DNA - a major achievement at a time when only men were allowed in some universities' dining rooms. After achieving a doctorate in physical chemistry from Cambridge University in 1945, she spent three years at the Laboratoire Central des Services Chimiques de L'Etat in Paris, learning the X-Ray diffraction techniques that would make her name. Then, in 1951, she returned to London to work as a research associate in John Randall's laboratory at King's College. Franklin's role was to set up and improve the X-ray crystallography unit at King's College. She worked with the scientist Maurice Wilkins, and a student, Raymond Gosling, and was able to produce two sets of high-resolution photographs of DNA fibres. Using the photographs, she calculated the dimensions of the strands and also deduced that the phosphates were on the outside of what was probably a helical structure. Franklin's photographs were described as, "the most beautiful X-ray photographs of any substance ever taken" by J. D. Bernal, and between 1951 and 1953 her research came close to discovering the structure of DNA. Unfortunately, she was ultimately beaten to the post by Thomas Watson and Frances Crick. 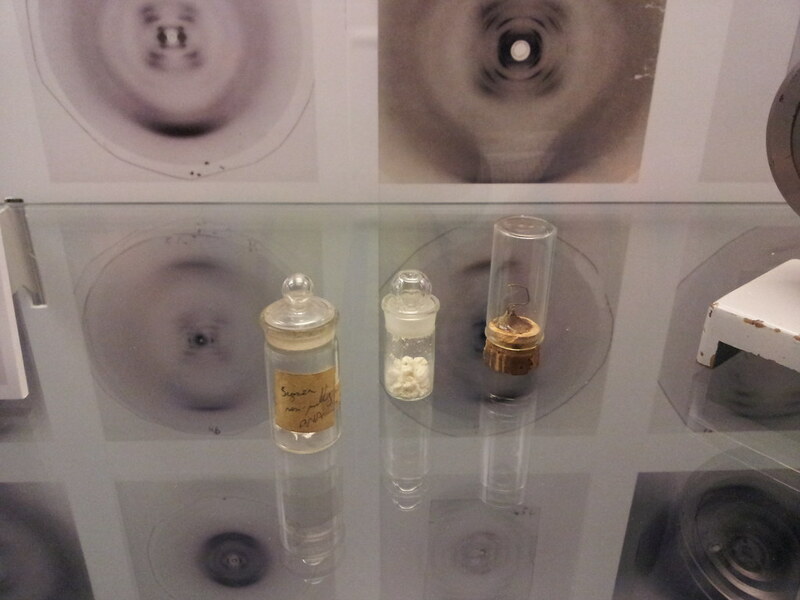 The above image shows the original samples of DNA which were given to Maurice Wilkins by Swiss biochemist Rudolf Signer. PhD student Raymond Gosling then used the samples to produce the first crystals of DNA and, with Rosalind Franklin, used them for the next generation of X-ray images. In 1951, James Watson visited Cambridge University and happened to meet Francis Crick. Despite an age difference of 12 years, the pair immediately hit it off and Watson remained at the university to study the structure of DNA at Cavendish Laboratory. Using available X-ray data and model building, they were able to solve the puzzle that had baffled scientists for decades. They published the now-famous paper in Nature in April, 1953 and in 1962 they were awarded the Nobel Prize for Physiology or Medicine along with Maurice Wilkins. Despite the fact that her photographs had been critical to Watson and Crick's solution, Rosalind Franklin was not honoured, as only three scientists could share the prize. She died in 1958, after a short battle with cancer. Following Watson and Crick's discovery, scientists entered a period of frenzy, in which they rushed to be the first to decipher the genetic code. Theoretical physicist and astronomer George Gamow decided to make the race more interesting - he created an exclusive club known as the “RNA Tie Club”, in which each member would put forward their ideas about how nucleotide bases were transformed into proteins by the body's cells. He handpicked 20 members - one for each amino acid - and they each wore a tie carrying the symbol of their allocated amino acid. Ironically, the man who was to discover the genetic code, Marshall Nirenberg, was not a member. Today, scientists routinely use our growing understanding of genetics for disease diagnosis and prognosis. However, it took decades for cytogenetics (the study of chromosomes) to be recognised as a medical discipline. Cytogenetics first had a major impact on disease diagnosis in 1959, when an additional copy of chromosome 21 was linked to Down's syndrome. In the late 1960s and early 70s, stains such as Giemsa were introduced, which bind to chromosomes in a non-uniform fashion, creating bands of light and dark areas. The invention transformed the discipline, making it possible to identify individual chromosomes, as well as sections within chromosomes, and formed the basis of early clinical genetic diagnosis. In 1957, Marshall Nirenberg arrived at the National Institute of Health as a postdoctoral fellow in Dr. DeWitt Stetten, Jr.'s laboratory. He decided to focus his research on nucleic acids and protein synthesis in the hope of cracking 'life's code'. The following few years were taken up with experiments, as Nirenberg tried to show that RNA could trigger protein synthesis. By 1960, Nirenberg and his post-doctoral fellow, Heinrich Matthaei were well on the way to solving the coding problem. Nirenberg and Matthaei ground up E.Coli bacteria cells, in order to rupture their walls and release the cytoplasm, which they then used in their experiments. These experiments used 20 test tubes, each filled with a different amino acid - the scientists wanted to know which amino acid would be incorporated into a protein after the addition of a particular type of synthetic RNA. In 1961, the pair performed an experiment which showed that a chain of the repeating bases uracil forced a protein chain made of one repeating amino acid, phenylalanine. This was a breakthrough experiment which proved that the code could be broken. Nirenberg and Matthaei conducted further experiments with other strands of synthetic RNA, before preparing papers for publication. However, there was still much work to do - the scientists now needed to determine which bases made up each codon, as well as the sequence of bases within the codons. Around the same time, Nobel laureate Severo Ochoa was also working on the coding problem. This sparked intense competition between the laboratories, as the two scientists raced to be the first to the finish line. In the hope of ensuring that the first NIH scientist won the Nobel Prize, Nirenberg's colleagues put their own work on hold to help him achieve his goal. Finally, in 1965, Nirenberg became the first person to sequence the code. In 1968, his efforts were rewarded when he, Robert W. Holley and Har Gobind Khorana were jointly awarded the Nobel Prize. By the early 1970s, molecular biologists had made incredible advances. They could now decipher the genetic code and spell out the sequence of amino acids in proteins. However, further developments in the field were being held back by the inability to easily read the precise nucleotide sequences of DNA. In 1943, Cambridge graduate Frederick Sanger started working for A. C. Chibnall, identifying the free amino groups in insulin. Through this work, he became the first person to order the amino acids and obtain a protein sequence, for which he later won a Nobel Prize. He deduced that if proteins were ordered molecules, then the DNA that makes them must have an order as well. In 1962, Sanger moved with the Medical Research Council to the Laboratory of Molecular Biology in Cambridge, where DNA sequencing became a natural extension of his work with proteins. He initially began working on sequencing RNA, as it was smaller, but these techniques were soon applicable to DNA and eventually became the dideoxy method used in sequencing reactions today. For his breakthrough in rapid sequencing techniques, Sanger earned a second Nobel Prize for Chemistry in 1980, which he shared with Walter Gilbert and Paul Berg. HD is a rare, progressive neurodegenerative disease which usually manifests itself between 30 and 45 years of age . It's characterised by a loss of motor control, jerky movements, psychiatric symptoms, dementia, altered personality and a decline in cognitive function. As the disease is adult onset, many people have already had children before they are diagnosed and have passed the mutant gene onto the next generation. In 1983, a genetic marker linked to HD was found on Chromosome 4, making it the first genetic disease to be mapped using DNA polymorphisms. However, the gene was not finally isolated until 1993. In 1990, the first gene to be associated with increased susceptibility to familial breast and ovarian cancer was identified. Scientists had performed DNA linkage studies on large families who showed characteristics related to hereditary breast ovarian cancer (HBOC) syndrome. They named the gene they identified, which was located on chromosome 17, BRCA1. However, it was clear that not all breast cancer families were linked to BRCA1, and, with continued research, a second gene BRCA2 was located on chromosome 13. Everyone has 2 copies of both BRCA1 and BRCA2, which are tumour suppressor genes. If a person has 1 altered copy of either gene it can lead to an accumulation of mutations, which can then lead to tumour formation. In 1988, The National Research Council recommended a program to map the human genome. The Human Genome Project officially started in 1990, with the U.S. Department of Energy (DOE) and the National Institutes of Health (NIH) publishing a plan for the first five years of the anticipated 15 year project. Many organisations had a long-standing interest in mapping the human genome for the sake of advancing medicine, but also for purposes such as the detection of mutations that nuclear radiation might cause. The project's goals included: mapping the human genome and determining all 3.2 billion letters in it, mapping and sequencing the genomes of other organisms, if it would be useful to the study of biology, developing technology for the purpose of analysing DNA and studying the social, ethical and legal implications of genome research. In 1995, to demonstrate the new strategy of "shotgun" sequencing, J. Craig Venter and colleagues published the first completely sequenced genome of a self-replicating, free-living organism - Haemophilus Influenzae. Known as H.flu, Haemophilus Influenzae is a bacterium that can cause meningitis and ear and respiratory infections in children. Prior to this breakthrough, scientists had only managed to sequence the genome of a few viruses, which are around ten times shorter than that of H.flu. The project took around a year and was a remarkable achievement. Its success proved that the random shotgun technique could be applied to whole genomes quickly and accurately, paving the way for future discoveries. The world famous Dolly the sheep was the first mammal to be cloned from an adult cell. The feat was ground-breaking - whilst animals such as cows had previously been cloned from embryo cells, Dolly demonstrated that even when DNA had specialised, it could still be used to create an entire organism. 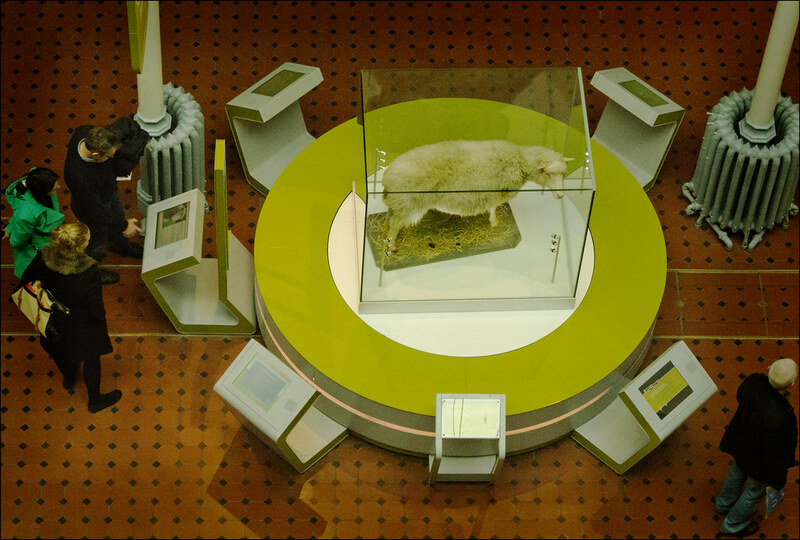 Dolly was created by scientists working at the Roslin Institute in Scotland, from the udder cell of a six-year-old Finn Dorset white sheep. By altering the growth medium, the scientists found a way to 'reprogram' the cell, which was then injected into an unfertilised egg that had had its nucleus removed. The egg was then cultured to reach the embryo stage, before being implanted into a surrogate mother. Cloning from adult cells is a difficult process and out of 277 attempts, Dolly was the only lamb to survive. She went on to live a pampered existence at the Roslin Institute and was able to produce normal offspring. Following her death, she was stuffed and put on display, as can be seen in the accompanying image. In 1996, the leaders of the Human Genome Project met in Bermuda and agreed that genome sequence data should be made freely available in the public domain within 24 hours of generation. Known as the 'Bermuda Principles', the agreement was designed to ensure that sequence information led as rapidly as possible to advances in healthcare and research. In order to co-ordinate the process, it was also agreed that large-scale sequencing centres would inform the Human Genome Organisation (HUGO) of any intentions to sequence particular regions of the genome. HUGO would then place this information on their website and direct visitors to the specific centres for more detailed information regarding the current status of sequencing. In 1999, an international team of researchers reached a major milestone when they unravelled for the first time the full genetic code of a human chromosome. The chromosome in question was chromosome 22, which contained 33.5 million "letters," or chemical components. At the time, the sequence was the longest continuous stretch of DNA ever deciphered and assembled. However, it was only the first deciphered chapter of the human genetic instruction book - the rest was still to come. 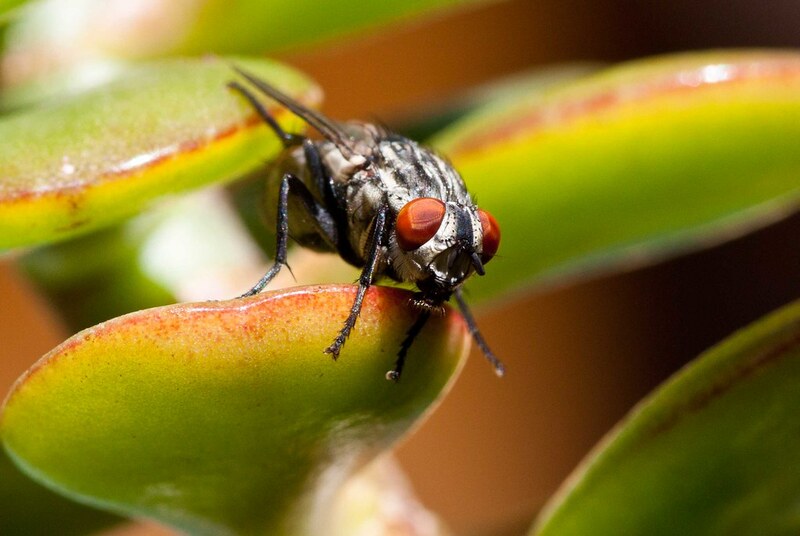 In March 2000, scientists from a number of laboratories successfully decoded the genetic makeup of the fruit fly. The collaborative effort had major implications for the sequencing of the human genome, as fly cell biology and development has much in common with mammals. During their research, the scientists discovered that every fruit fly cell contains 13,601 genes, making it by far the most complex organism decoded at the time. However, by contrast, human cells contain 70,000 genes. Whilst the Human Genome Project still had a long way to go to achieve its ultimate objective, this was an important milestone along the way. 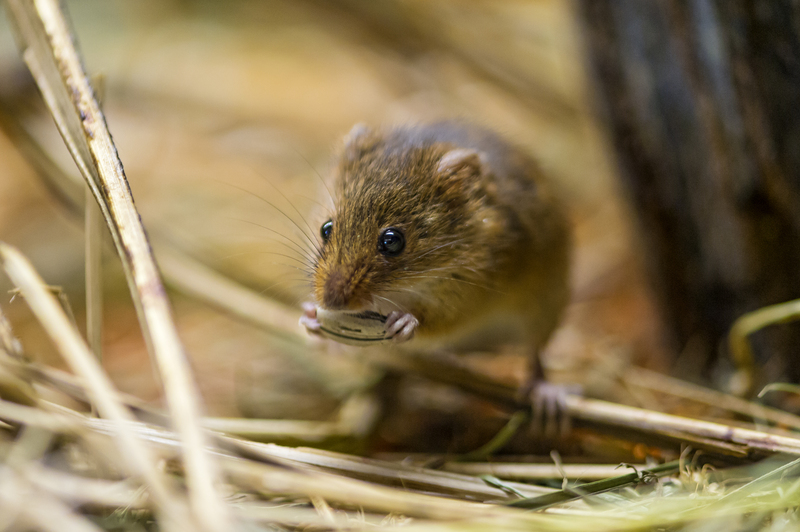 In 2002, scientists took their next big step and decoded the genome of the first mammal – the mouse. The achievement allowed them to compare, for the first time, the human genome with that of another mammal. Amazingly, it emerged that 90% of the mouse's genome could be aligned with the corresponding regions on the human genome. Both the mouse and human genome also contained around 30,000 protein-coding genes. These discoveries highlighted for the first time just how closely mammalian species were genetically related. History was made in 2003 when the Human Genome Project was finally completed. The international research project could be described as the greatest journey ever made – albeit an inwards one. Scientists had achieved a high-quality sequence of the entire human genome. In 2001, the Human Genome Project had published a 'rough draft' of the human genome, which included a 90% sequence of all three billion base pairs. Following this, scientists pursued the second stage of the project – the finishing phase. During this time, researchers filled in the gaps and resolved DNA features in ambiguous areas until they had completed 99% of the human genome in final form. This final form contains 2.85 billion nucleotides, with a predicted error rate of just 1 event in every 100,000 bases sequenced. Surprises included the relatively small number of protein-encoding genes (between 20,000 and 25,000) and that there were similar genes with the same functions present in different species. When you consider that less than 200 years previously, pioneers like Charles Darwin were only beginning to suspect characteristics could be inherited, it's mind-boggling what scientists have managed to achieve. In 2013, DNA Worldwide and their laboratory partners Eurofins Forensic were the first in the world to prove that twins have differences in their genetic make-up. 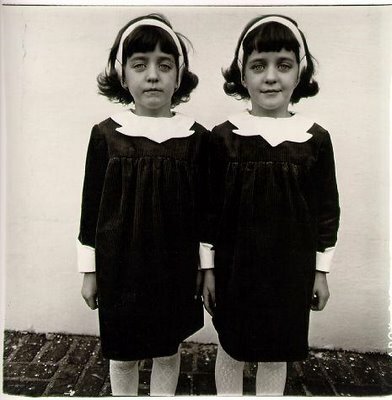 Before this discovery, it was believed that monozygotic twins are 100% genetically identical, and that DNA testing could not be used in criminal or paternity cases involving identical twins, as it was impossible to tell them apart. However, the team at DNA Worldwide decided to test this theory by combining Forensic DNA profiling and Genomic Sequencing. The scientists applied ultra-deep, next generation sequencing and combined this with bioinformatics, sequencing the DNA from sperm samples of two twins and a blood sample of the child of one twin. The Bioinformatic analysis identified five differences (mutations), called Single Nucleotide Polymorphisms (SNPs) present in the twin who was a father and his child, but not in the twin uncle. These SNP differences were confirmed by Sanger sequencing, and gave experimental evidence for the hypothesis that rare mutations in the genes will occur early, after or before the human blastocyst has split into two and that these mutations will be carried throughout the lifespan. These differences and the methods developed by DNA Worldwide laboratory provided a solution to the problems facing complex paternity and forensic cases involving identical twins. Throughout 2014 the world's scientists have continued to develop their understanding of DNA. Researchers announced in May that they had successfully created an organism with an expanded artificial genetic code. This success could eventually lead to the creation of organisms that can produce medicines or industrial products organically. There have also been breakthroughs in the medical field; the largest ever study into the genetic basis of mental illness has found more than 100 genes that play a role in the development of schizophrenia. These findings have the potential to kick-start the production of new drugs to treat this not uncommon psychiatric illness. Geneticists have also made progress in the breakthrough field of epigenetics (the study of changes in organisms caused by altered gene expression). By studying pairs of identical twins, researchers in Sweden have found that changes in the expression of genes involved in inflammation, fat and glucose metabolism could be behind the development of Type 2 Diabetes. So, what does the future hold for our understanding of genetics? In recent decades, epigenetics has been a ground-breaking area of developing research. Essentially, the term epigenetics means 'on genetics' and refers to the biological markers which influence what 'comes out' of the DNA sequence. Research has found that there are a huge number of these molecular mechanisms affecting the activity of our genes. Incredibly, it has emerged that our life experiences and choices can change the activity of these mechanisms, resulting in changes in gene expression. Even more fascinating is that these changes in gene expression can be inherited, meaning that the life experiences of your ancestors can fundamentally influence your biological make-up. 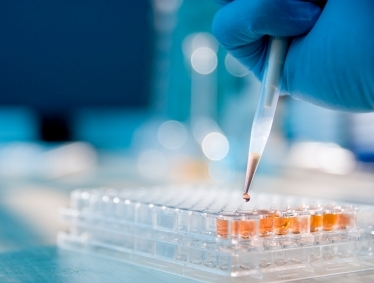 These discoveries are likely to have a dramatic impact on the future of the healthcare system. We're beginning to understand that the choices we make can have a long-term impact on our health and can cause genetic level change, which could even impact future generations. Individual responsibility for our lifestyle choices is therefore more important than ever before. Another likely future development is the increased use of personalised medicines. 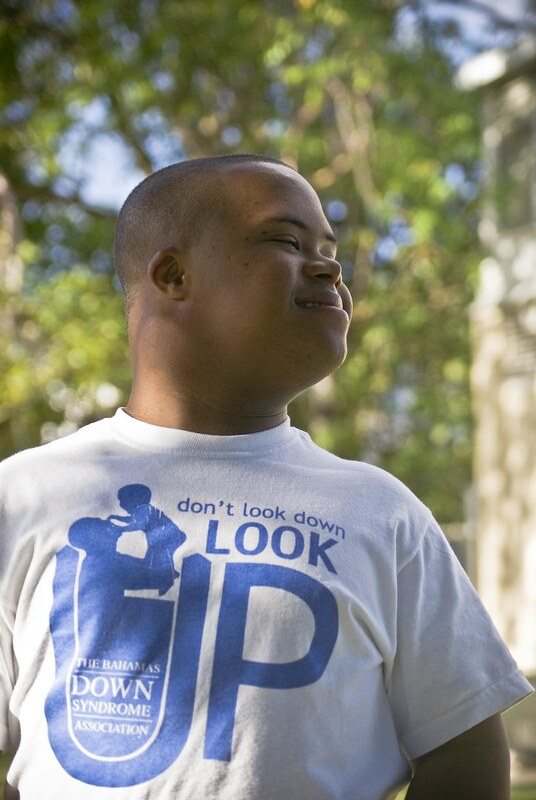 Many genetic diseases are caused by mutated genes, but these can differ from one person to the next. By identifying these combinations, medicines can be tailored to the individual, providing the best possible treatment.